A nice lad and very happy that he had been contacted by PakPassion. He's a 21 year old, 6 foot tall, right arm medium fast bowler who as mentioned above is from Faisalabad. 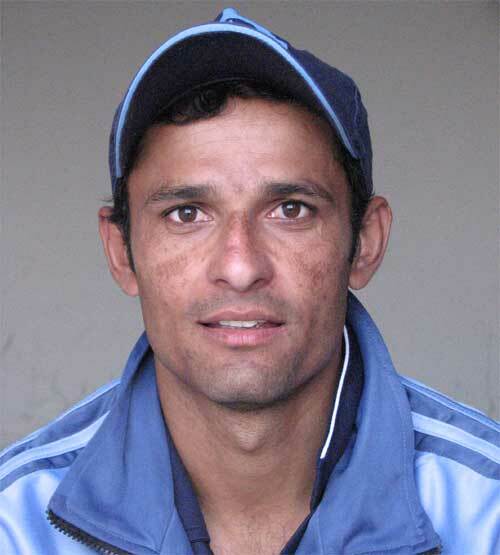 He made his first class debut in 2005 for Faisalabad versus Sialkot. He models his bowling on Shahid Nazir who has helped him develop as a bowler after spotting him playing for Faisalabad region. Asad played against the touring Bangladesh Academy team in Multan and took 6 wickets in the match at Multan including the wicket of Mehrab Hossein. He said that the selectors in the past have suggested that he was close for selection on "A" tours, but things have not materialised. Asad's natural delivery is the outswinger. Mansoor Rana and Aaqib Javed have worked with him in the past and helped him develop as a bowler. Misbah ul Haq, Mohammad Hafeez, Naved Latif and as mentioned previously Shahid Nazir are the team mates that have really helped him improve as a cricketer. He played league cricket in Derby for 2 seasons (2007 and 2008). He took 110 wickets in 22 matches for Belper Meadows in one of the seasons that he represented them. When spoken to, he had already taken 11 wickets in the Quaid E Azam Trophy this season, even though SNGPL were playing in only their second match this season.